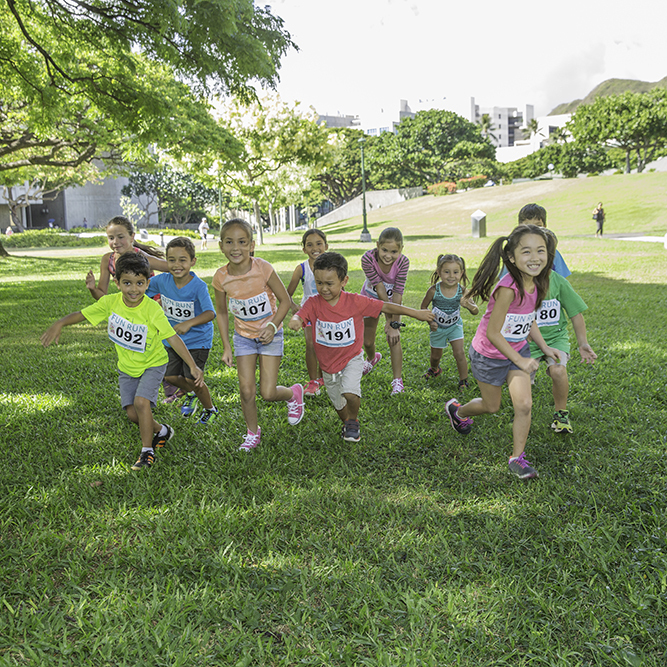 Lace up your shoes and get ready for the HONOLULU Family Fun Run presented by Kaiser Permanente, set for Aug. 5 from 8:30 to 10:30 a.m. The Fun Run makes fitness something the entire family can enjoy! Everyone can participate in the leisurely 3K course, complete with selfie stops, snack stations, entertainment and more. Think your keiki can outrun the Flash? Enter your child (ages 3–10) in the separate 500-meter dash and watch him or her zoom to the finish line. Plus, $3 from each entry goes back to a school of your choice! Saturday, Aug. 5 | 8:30-10:30 a.m.
Frank F. Fasi Civic Grounds, 650 S. King St.
*Keiki dash fee grants access to both races. Use code: HAWAIIMOM for $5 off! After the event, head next-door and spend the day at the Best of Honolulu Festival presented by American Savings Bank, with food booths, entertainment, shopping and a special fun zone just for kids. To register for the HONOLULU Family Fun Run, click HERE. Visit Hawaii Mom Blog on Instagram to enter to win a family four-pack of entries (up to $120 ARV).